LINA C. ROSSILLO has worked exclusively in the civil litigation field since graduating from law school. She became associated with Morris Duffy Alonso & Faley in October of 2001 and became a partner in 2011. 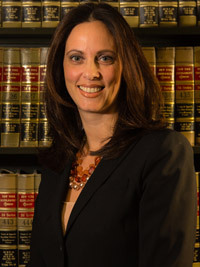 She focuses her practice on construction litigation (including contract disputes, insurance coverage and priority, and the labor law), professional liability (including architects and engineers), premises liability and security issue cases. Alarcon v. UCAN White Plains Hous. Dev. Corp. - on summary judgment, obtained contractual indemnification on behalf of the owner and managing agent from a contractor in a case in which plaintiff fell from a scaffold at a construction site. 127 Restaurant Corp. v. Rose Realty Group, LLC​, 2004 N.Y. Slip. Op. 30261(U) - awarded summary judgment in action where plaintiff asserted various causes of action, including breach of lease, wrongful interference with an easement, nuisance, conversion, and breach of the covenant of quiet enjoyment, in connection with a claim that a landlord had permitted construction on property burdened by an easement that benefits plaintiff. Guzman v. 170 W. End Ave. Assoc., 2014 N.Y. Slip. Op. 01537 - on appeal, award of contractual indemnification obtained on summary judgment for the managing agent and owner of a property from contractor affirmed in case in which plaintiff was injured when a 100-pound electrical cable fell from a height of approximately 27-stories because it was improperly secured to a scaffold.